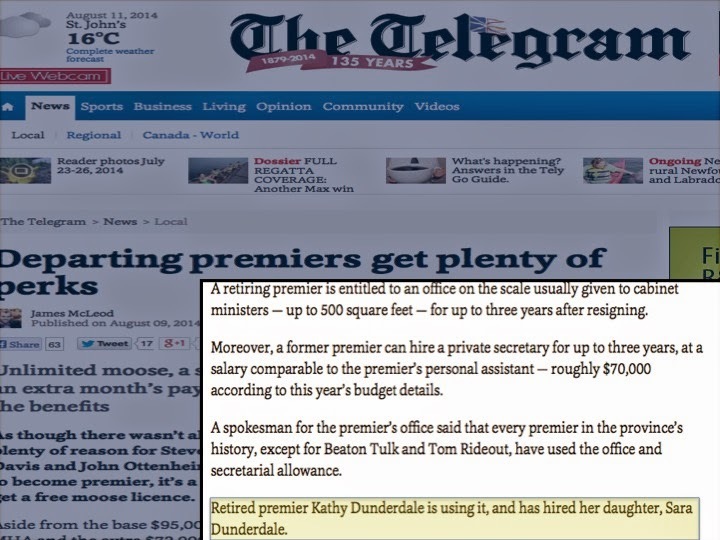 POLEMIC & PARADOX: MOM RETIRES AS PREMIER & DAUGHTER GETS $70 K PERK FOR THREE YEARS? MOM RETIRES AS PREMIER & DAUGHTER GETS $70 K PERK FOR THREE YEARS? This is completely believable , predictable and despicable, and is consistent with how the average Joe is totally getting ripped off , by Government. Enough is enough folks , its time to revolt.